Standard cooler bag with insulation on all sides to keep all your food and beverage in desired temperature. Perfect size to fit one 6-pack can beverage. Front zipper pocket. Back mesh pocket. 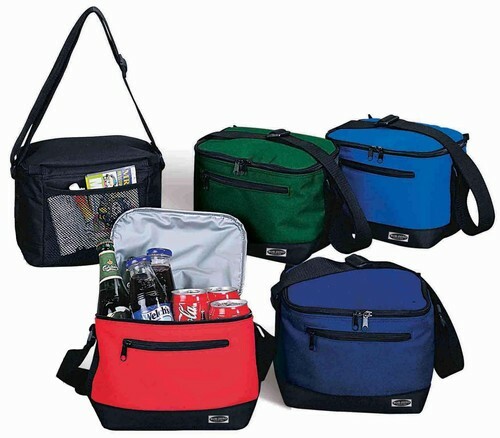 Great for picnics, camping, the beach, outdoor concerts. Ad your logo and have it seen by everyone at the party!